Generate Leads Faster with Sales and Marketing Automation. Sales and Marketing Automation for B2B Technology firms. Automate email, online ads, SEO and social media so you can generate leads and drive sales. Generate, profile and follow-up leads using landing pages and automated email workflows. Automate outbound sales emails, monitor responses. Design, and publish landing pages in minutes, optimize them to improve lead generation. Design effective email marketing campaigns for technical B2B audiences. Profile and numerically score leads based on their location, online behavior and other factors. 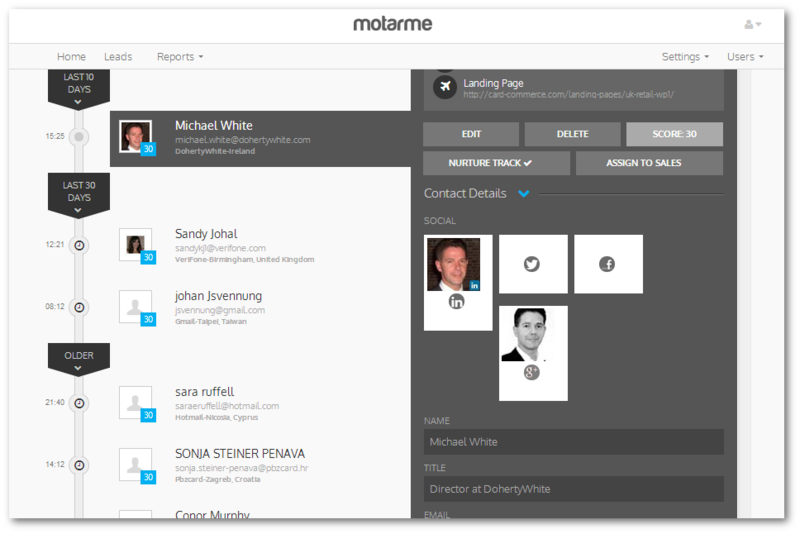 Motarme is built for marketers and sales people at B2B tech, engineering and services companies. We’ve designed the system so you can start generating leads within 24 hours. 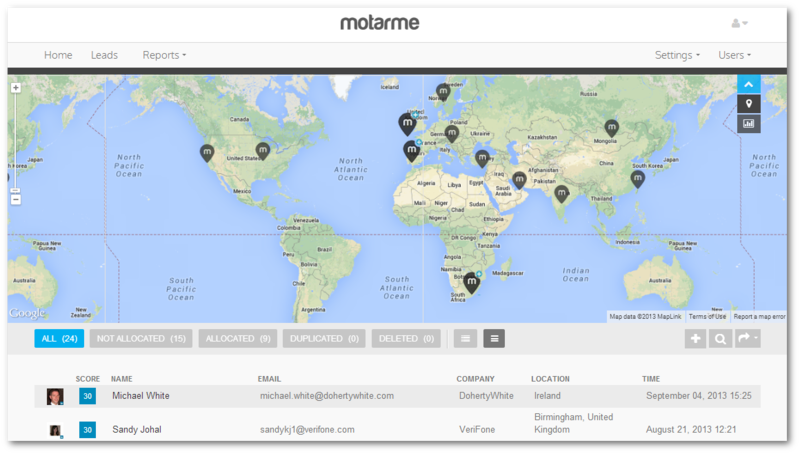 Motarme automatically profiles and scores web visitors based on their location, their LinkedIn profile, what they have downloaded and other behaviors and then selects an appropriate automated follow-up. "Generating leads online is now a central part of our strategy." "The system delivered real, measurable results in a short time frame. " "We have seen for ourselves how a solid strategy has helped drive traffic to our site and generate sales leads. " Download the Motarme Marketing Automation Guide Now! Download the guide! Startup, mid-size and enterprise software firms. Manufacturing, engineering and industrial production companies. Electronics, hardware and medical device firms. Consulting, design and engineering services.